Tidal Wave is part “tribal”, part “groovy”, and part “Art Nouveau,” although its roots predate all those design labels. Tidal Wave has an exciting look that transcends time and geography. 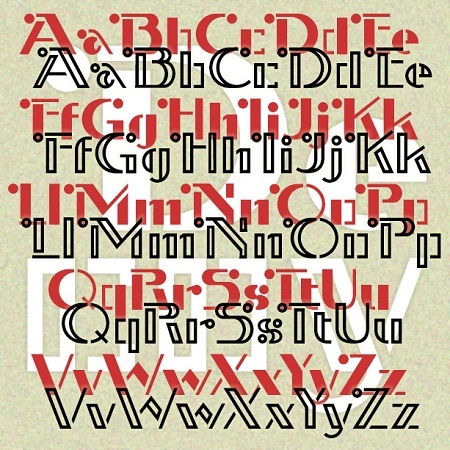 It was inspired by this page of lettering from J. M. Bergling’s 1923 Art “Alphabets & Lettering”. The “Grecian” label must have something to do with the squarish spirals. Asian Flavor is a pan-Asian pastiche. Borrowing from multiple Asian scripts—dots from the Middle East, bars from South Asia, strokes from the Far East—this font attempts to suggest Asian languages while still writing in the Latin alphabet. About as authentically “Asian” as my homemade lettuce wraps with some ginger, rice vinegar, soy sauce and sesame oil: tasty and accessible but not really Asian. Asian Flavor was inspired by this vintage hand-lettered sign at the American Museum of Natural History in New York City. DECOY is a bright geometric font with Art Deco flair. The Stencil version is solid, the Template is outlined. Both also come in an alternate version without all the decorative circles on the caps. Decoy was inspired by one style of signature by the popular American artist, Norman Rockwell. 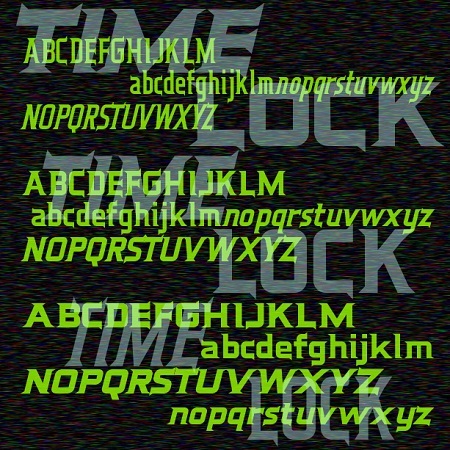 Time Lock is a 6-font family with a retro-futuristic feel. Sleek and streamlined, with distinctive triangular serifs strategically placed like fins. In three weights with matching oblique fonts for even better aerodynamics. Time Lock was inspired by the trailer for the film “The Time Machine,” 1960, very different from the poster or the main titles. Here is the full trailer, you can see I’ve expanded the design to include lowercase. True Confession is a delicate and lively font that suggests Art Deco metalwork. Inspired by the hand-lettered main title of the 1937 film of the same name starring Carole Lombard, art directed by Hans Dreir and Robert Usher. 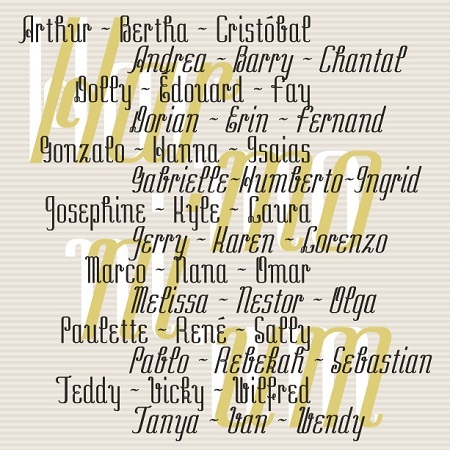 Want this look in a handy monogram font? Check out my Art Deco Monograms. INTERMITTENT was inspired by some of the titles for the movie “West Side Story,” designed by the legendary Saul Bass. 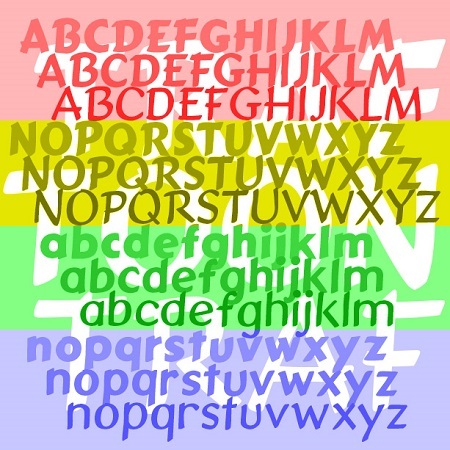 Bass’ titles take several different turns; this style was used for the title and intermission cards. Composed of slightly irregular parallel lines that suggest a bold, wide sans serif, Intermittent is like a sketch of a font, bold and wide but with a gentle sparkle. This font can be condensed, expanded, layered, and negatively spaced to great effect. This font can be condensed, expanded, layered, and negatively spaced to great effect. 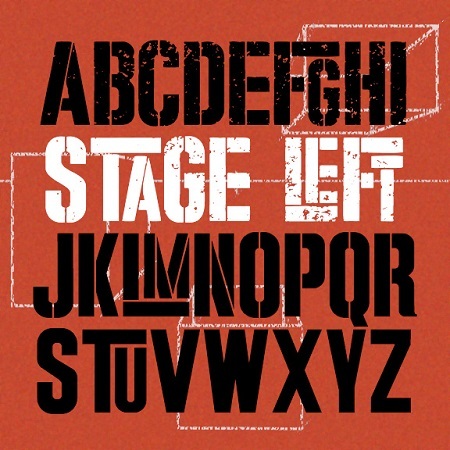 STAGE LEFT was inspired by the iconic poster for the movie version of “West Side Story.” Designed by Joe Caroff—not Saul Bass as is often stated—the poster suggests a gritty but playful urban energy. It’s basically large and small caps but I’ve designed it so the big T, L, and F interlock with other small letters.And it comes in three finishes: Solid, Stencil, and Stressed, the latter most resembling the original. 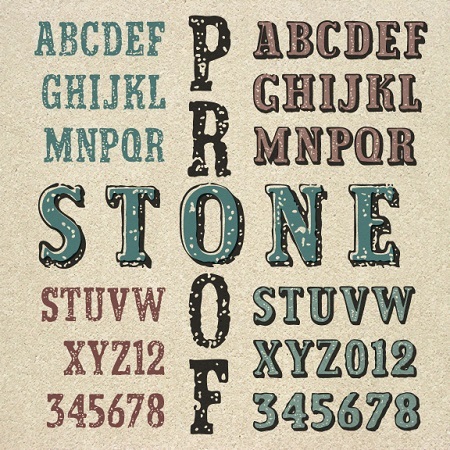 The Stone Proof fonts are weathered and worn, suggesting primitive typeset, rough paper, and aged surfaces. The set includes Regular, 3-D, and a special Fill font to work with the 3-D. Its cousin, Handbill, has the jumbled style of rubber stamps, if you prefer that. A stone proof is a simple proof made without a press, using a mallet and composing stone. Thanks, Vista Bill, for the name suggestion!